Microsoft reps have claimed that its next mobile operating system is going to be an "ad-serving machine" according to a new demo of Windows Phone 7. While the news will clearly delight the marketing and ad men out there, it might not sound like much of a 'turn-on' for consumers. Windows Phone 7, due out at some point later this year, is set to allow advertisers to push through info on their products through a platform called Toast. 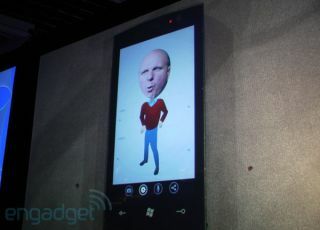 "(WP7 is) an extra move on our NUI (natural user interface). We're trying to get technology out of the way of people," said Kostas Mallios, Microsoft's general manager for Strategy and Business Development, speaking at the Cannes Lions International Advertising Festival in France. "For consumers, what this means is basically seamless experiences, seamless social connectivity – not just about applications, obviously about the phone, obviously about media. "For marketers ... this is actually turning out, in my view, to be an ad-serving machine," he added. "It basically enables advertisers to connect with consumers over time."